I have been miserable with the most confusing skin since a teenager having spots with dry sensitive skin, patchy areas and I was called ugly by mean kids. Now that the ugly duckiling days are over, being 27 I have to bear in mind that wrinkles are probably around the corner. During my teenage years I developed scars from popping spots and skin discolourations from eczema creams and constantly itching on my body also by trying out a facial hair removal cream at school once when I didn't even have hair but my friend tried it so I tried it (stupid I know aaaargghhh), anyway it peeled my skin off (ouch). Being of Indian skin tone does not help either as it shows up darker areas around the mouth and eyes rather than being red as it would on white skin tone. After trying various brands sold at drug stores before turning to 100% natural products I have found the solution finally to remove my bad luck blemishes. Now you can say goodbye forever to your blemishes, marks, scars, and discolourations with key ingredients as discovered by Scientists. Pure Retinol from a natural origin is the best found ingredient to remove these skin imperfections and is most potent in Pure Rosehip oil extracted from the seed. Rosehip oil is renowned for reducing scars after surgery and improving conditions of damaged skin. Best of all its FOR ALL SKIN TYPES even acne prone skin like my sisters. Vitamin K works in partnership if combined with Retinol to increase the benefits of scar removal and particularly for dark circles as it has been widely used to assist in the treatment of bruising around the eyes, as well as in the prevention of such skin discolourations and is found in Soya bean oil and Canola oil. 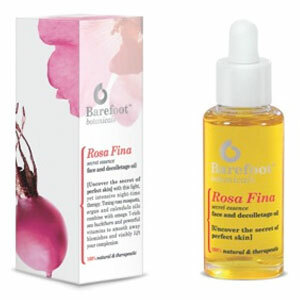 Before discovering Rosehip oil I used Rosa Fina decolletage serum by Barefoot botanicals as I thoroughly researched all the ingredients and they all benefit the improvement of marks and scars. My skin improved significantly making it appear glowing, smooth and it completely faded out premature wrinkles around the mouth and eyes caused by dehydrated skin. It has been a miracle oil in evening out my skin tone. Rosa Fina is amazing for dry and mature skin and is a perfect for prevention of wrinkles. Here are the two Rosehip oils I have used and the Akin brand smells better in my opinion but the Akamuti brand is cheaper. There are other essential oils that help in the process of scar removal such as Tea Tree Oil and Lavender Oil as they heal wounds, inflamed acne, popped spots quickly for the healing process. So calm down if you have burnt yourself with a hair tong like I did on my neck with pink flesh exposing like I had a piece of ham stuck on it, as it will completely heal by using these oils and mine did. Oily Skin care routine that actually works!!! !